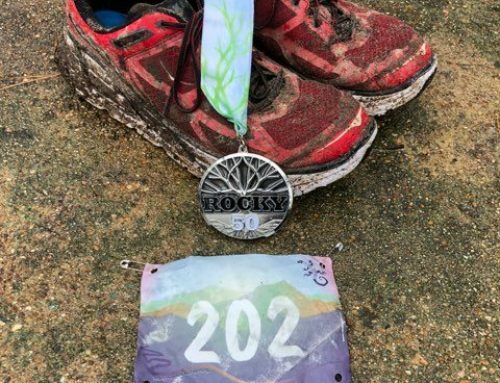 AUSTIN – On Sunday morning, Lost Creek Country Club hosted the 11th annual T3 Multi-sport 100 x 100. Although traditionally held the first weekend of January, T3 was forced to delay the event start due to technical problems at the team pool. T3 moved the 2014 event to the last weekend of January, which gave athletes a little bit more time to prep for the grueling day. Dating back to 2003, “Mo” has offered to cook breakfast on the deck to entice participation. Breakfast is great reward for all those joining, although “Mo” had his work cut out for him thanks to the 45 swimmers who showed up on the unusually warm January day. With the griddle sizzling and the music blasting on the pool deck, the atmosphere was lively for what would normally be a tranquil morning. The way Culley organizes the event by splitting the five swimming lanes according to projected time. In the “fast” lane are those who can complete the 100 meters in 1 minute, 30 seconds. Fall off that pace, and you’re out. Those going 2 minutes or slower occupy the slowest lane, and the other three lanes fall somewhere in between. To break up the monotony, swimmers switch various gear in and out – fins, paddles, buoys, etc. Most athletes break the sets up with swim gear to help them with the challenging workout. In a typical year, just 12-15 swimmers successfully finish the repeats. But this year, the growth exploded as 39 – with notable top Austin triathletes Tommy Rushing, Stephan Schwarze, Pablo Gomez, and Jeff Raines amongst the crowd – completed their 10,000 meters. Of those, 12 earned extra credit by finishing in under three hours, which included Andrea Nuñez-Smith, Meredith Gardiner, and Ashely Deboys.